We are overjoyed to share the birth of our son, Preston. God has blessed us so immensely with this beautiful baby boy, and we are loving life as new parents! He was born with a full head of dark hair, dark blue eyes, and the cutest button nose. We are so in love and praising God for this precious miracle. Congratulations again!! Rejoicing with you both in this beautiful gift!! 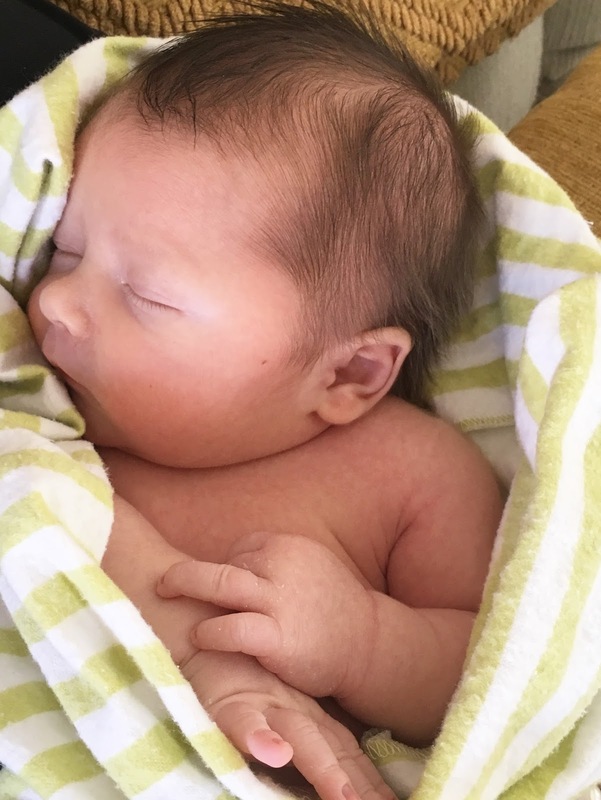 Congratulations Chelsea-- he is so precious! He is so perfect! I am so so happy for you. Oh he is precious! Congratulations! Congratulations again!! He's so cute. Congratulations. I'm so happy for you guys! Congratulations! Can't wait to hear more! I've enjoying seeing pictures on Instagram. Congratulations!!! So happy for you and your family! Preston is absolutely adorable! AH! Congrats!! So happy for y'all! Congratulations ♥ He is absolutely precious! Again congrats! I can't wait to hear more about him!